It was a great day for the Team Canada yesterday as the Men’s Pairs Team of Steven Santana and Ryan Bester advanced to the Gold Medal game by beating the high profile Australian duo of Nathan Rice and Ray Pearse. It was an all out battle that saw the long time friends come out on top 16-11 when the smoke cleared. Stevie and Ryan’s history goes back years to their Junior days when they would meet each other on the greens for the Junior and U25 National titles. Now joining forces in their 30’s they have worked together to make the final at the 2015 Asia Pacific Championships. There has been some extra support in the stands in Christchurch also, Shannon Santana and sister Heather Battles have made the trip to watch Team Canada compete. 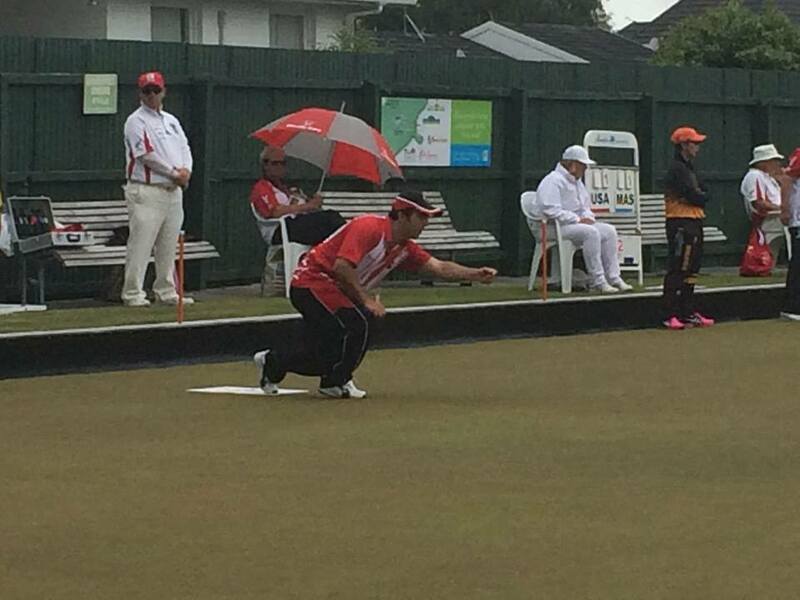 Heather has been living in New Zealand for the past year so its a great opportunity for a family visit and to take in some bowls action. The guys will now have to wait for the finals as everyone will switch gears for a couple of days, as the competition moves to Singles and Fours for the Men and the Women will play Pairs and Triples. Good Luck in the new disciplines this week.